This year we have the wonderful opportunity to study the Book of Mormon in Gospel Doctrine. Of all the books in the world, this is my favorite book. It has brought me more peace and insight than any other book I’ve ever read. As I’ve reflected on some of the lessons I’ve learned by reading this precious book, I thought I could share a few with you. And, of course, I would love to hear some of yours as well. Lesson One – What About Sam? I have a great love for Sam, the other older brother of Nephi. Not much is said about him, but from what is said, one can only surmise that he was a great man. I think of his humble, unassuming role as brother to one of the greatest figures in the Book of Mormon, Nephi. I think many of us are Sams. We are there to support the Nephi’s. But does this make us any less important? Absolutely not. Think of all the worthy priesthood holders and sisters in the church. Can they all be bishops or relief society presidents? It just isn’t possible, but even if we never hold what we consider a prominent calling in the church, it doesn’t make our contributions any less valuable. We are told in the Book of Mormon that Sam would receive all the promised blessings given to Nephi. Think about how President Monson talks about his primary teachers. I think of the impact my visiting teachers have had on me. We erroneously think of these as small callings, but remember, by small and simple things, great things come to pass. I have no doubt Sam brought great comfort and strength to his younger brother, just as we, in any role, can bring that to those around us. And so the people of Alma were tried, but think about the miraculous manner in which they were delivered. Think about the faith that this must have instilled in such righteous people. Think about the fact that once Alma and his people were delivered and arrived in the land of Zarahelma, Alma was called to be the leader of the church. I think it is fair to say the Lord knows what He is doing and that He doesn’t allow us to have, or give us, trials without purpose. I think it should also be mentioned that He is a merciful God and willing to bless us when we turn toward Him, just like the people of Lamoni and Alma. In the book of Alma, we learn of a real fun guy named Amalickiah. This guy is desperate to be the king of the Nephites and when that doesn’t happen, he sets his sights on being king of the Lamanites. In Chapter 47 of Alma, we see how Amalickiah, through his cunningness, obtains the throne of the Lamanites. Amalickiah, being the evil guy he is, convinces the King of the Lamanites to go to battle against the Nephites. Well, most of his army doesn’t think this is a very good idea, and they take off and find refuge upon the top of the mountain Antipus. As you can imagine, this doesn’t make the King of the Lamanites too happy, so he appoints Amalickiah to be over the remaining part of his army. It is now Amalickiah’s job to whip into shape those dissenters. Amalickiah, being the opportunist he is, devises another plan. The leader of the dissenters is Lehonti. And at first you think this guy is a smart guy. 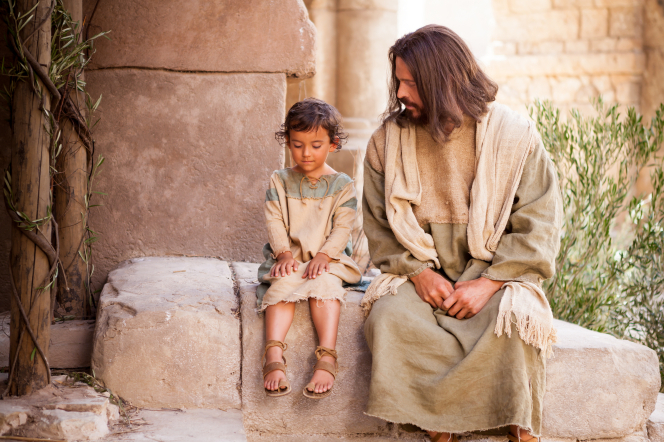 He was smart enough to know that they shouldn’t go against the Nephites. Hello? Have you heard of Captain Moroni? He was smart enough to seek higher ground. He was even smart enough to reject Amalickiah’s request to come off of the mountain just to “talk”. He rejected him three times. But just like Satan, Amalickiah changed his tactic and tried to make Lehonti feel all warm and fuzzy. He suggested that they meet in the middle, and Lehonti should bring his guards. Lehonti made a fatal error and came down off of his higher ground. Lehonti was then lulled away into thinking that he was in charge when, truly, he had lost his footing. Lehonti ended up dying after being poisoned by degrees. Satan will do anything he can to get us to come down off of our mountains. He will even entice us with the truth. Once we come down, we are in his grasp and can be poisoned, all while not knowing it. Don’t come down off the mountain! This last lesson, honestly, has so many lessons, but I will focus on the being humble aspect. Toward the end of the book of Alma, things aren’t looking all that great for the Nephites. Not only have they been in a long drawn out war with the Lamanites, but they are also battling dissenters within. The battle on the home front leaves Moroni and his men without needed provisions to sustain life. Moroni, being the bold man that we all love, sends a letter to Pahoran, the Chief Judge, letting him know of the dire situation, and accusing Pahoran of neglect. I suggest you read the whole letter in Chapter 60 of Alma. It is quite the diatribe. I’m pretty sure I would have been in tears if I had received such a letter. I would have also been furious. Moroni throws some pretty serious accusations at Pahoran. Think what a different story it would have been had Pahoran let his pride get in the way. Perhaps the Nephites would not have been victorious over the Lamanites. Think of the friendship that was saved because an ego was checked at the door. These are just a very few of the lessons that I’ve learned from this marvelous book. I believe in the Prophet Joseph Smith’s promise that we will get nearer to God by abiding by the precepts of the Book of Mormon. I look forward to this year of study. I hope you do as well. I love these lessons. I also love the story of how the Jaredites got light in their barges, and how we can have light with us all the time by cherishing the Book of Mormon that gives us light in this dark world and helps us when the waves of life bury us deep. The light keeps us safe and sane until we get our heads above water again. Excellent examples of just a few of the things we learn from the Book of Mormon. I just finished the end of Ether last night–and it is such a sad ending! I’ve read it before, but it really had an impact on me this time around. If Coriantumr had just listened to Ether, so much bloodshed could have been avoided. It reminds me to listen to the words of the prophet. Thanks for sharing these lessons. I love hearing someone else’s thoughts on stories from the BOM.